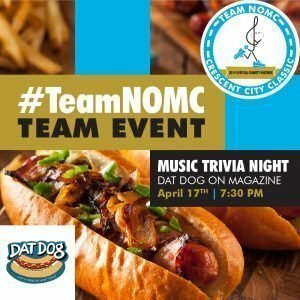 Come celebrate with Team NOMC! Join us the Wednesday before the Crescent City Classic as we celebrate the hard work of our charity racers on Team NOMC. There will be trivia, yummy food, prizes and special thank you’s for team members. 10% of all sales during the event will benefit the NOMC! $1 from every Jazz Cat sold will also benefit the NOMC.